The El Dorado County Veterans Coalition (EDCVC) 501(C)3 is a charitable organization which supports veterans programs and services for members of the United States Armed Forces who have served the Cause of Freedom. It also is doing business as the Veterans Monument Scholarship Fund Advisory Committee (VMSAC) which awards scholarships to sons and daughters of members of the military to assist them in obtaining a higher education. The coalition’s work assisting veterans and their families extends far beyond the Veterans Monument Scholarship Fund. Each year thousands of dollars are contributed towards veterans’ programs and services. The coalition is comprised of veterans, active duty members of the United States Armed Forces and their family members. In 2014, coalition members brought to fruition the dedication of the SSGT. Sky Mote NC Memorial Over-crossing sign on Highway 50 at Ray Lawyer Drive. SSGT. Mote NC died August 10, 2012 while serving during Operation Enduring Freedom. The El Dorado County Transit Occupancy Tax (TOT) Fund programs negotiated and authored by coalition members in 2014 has awarded over $300,000 through the EDC Veterans Affairs Commission to veterans services and programs including the Hospice Veterans Program, Folsom Lake College Vet Center, Folsom Lake College book program, Veterans Monument maintenance. 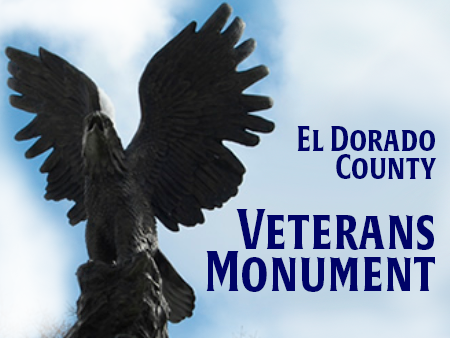 The Veterans Monument Scholarship Fund Advisory Committee advises the El Dorado Community Foundation on scholarship selection and awards which in 2016 exceeded $52,000. California Non-profit Corp Articles of Inc. 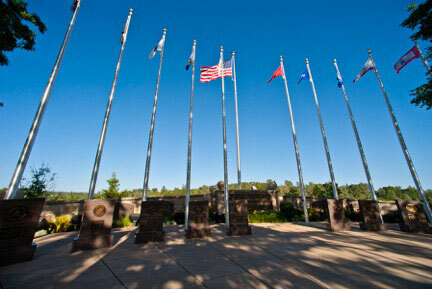 The El Dorado County Monument is not to have political views presented during any activity. This monument is for our veterans.